Life comes at you fast, huh? One day you're in the running for perhaps the most powerful job in human history, and the next moment you're back in the Senate, stalking the halls and plotting your next move. 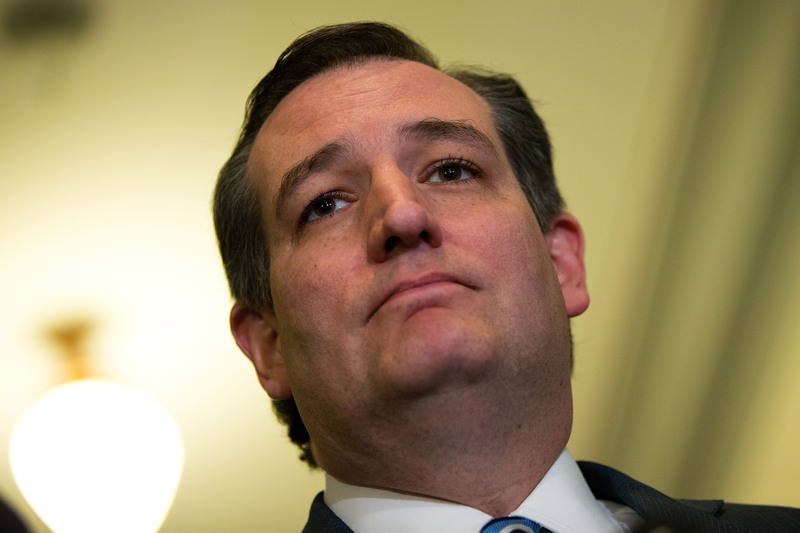 I'm talking about Texas Sen. Ted Cruz, obviously, who dropped out of the Republican presidential primary race in May after a string of disappointing defeats. But now, he's just days away from reentering the national spotlight, on a one-night-only basis. So, wanna know how to stream Ted Cruz's RNC speech? There was no guarantee that you'd see the famously uncomfortable-looking social conservative take to the stage in Cleveland this year, not with Donald J. Trump as the presumptive nominee. Really, it's kind of shocking that the invitation was accepted at all, considering the scorched-earth, ugly tenor of his rivalry with Trump. During the primaries, the real estate magnate dubbed him "Lyin' Ted," hurled obscene remarks in his direction, threatened and insulted his wife Heidi, called him a "basket case," and insinuated that his father, Rafael, had something to do with the assassination of former president John F. Kennedy. In other words, this is a pretty unlikely event, and there's no telling what might happen. On its face, it seems like a testament to the power of GOP party unity, but who knows? Maybe Cruz could go off-script, or somehow try to undermine Trump? There's only one way to find out, and that's to watch. Luckily, there are many different ways to do so. You can watch the Republican National Convention on any number of platforms, as it'll be on cable news streaming services, which are available through most mobile devices if you have a cable subscription. There are even easier options you can turn to, though ― it'll also be live-streamed for free in 360-degree video by YouTube. You can also watch any of the speakers or events as they happen by using the GOP convention's official app ― you can get it for Android through Google Play, and for Apple through the iTunes Store. The only other thing you need to know, then, is which day and time Cruz is slated to speak. According to the RNC program schedule, Cruz will give his speech on Wednesday night, which has been themed "Make America First Again." And you'll have plenty of options to tune in.